Bentleigh Greens SC is seeking a Media Team Leader (Bentleigh Greens TV). The media team has extensive video filming duties of all senior matches. These must be added to the club Facebook and Twitter pages. A live RS feed is made to the Bentleigh Greens Twitter platform every senior match. The club web site has subscribed link loaders to feed Facebook, Twitter and You tube videos to the club web site. The team must maintain these upload processors. The team is responsible for pre and post match interview features. 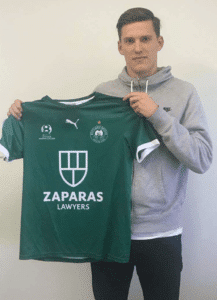 Club news such as new signings or significant girls and junior news must be regularly updated on the club web site, www.bentleighgreens.com.au The opportunity exists for Bentleigh Greens TV to make promotional videos for major sponsors. Sometimes there may be spin off independent contracts arising from this work.